Bill's Movie News and Reviews: "So You Want to Own a Fox": Is he (Loki the Red Fox) more like a dog or a cat? "So You Want to Own a Fox": Is he (Loki the Red Fox) more like a dog or a cat? 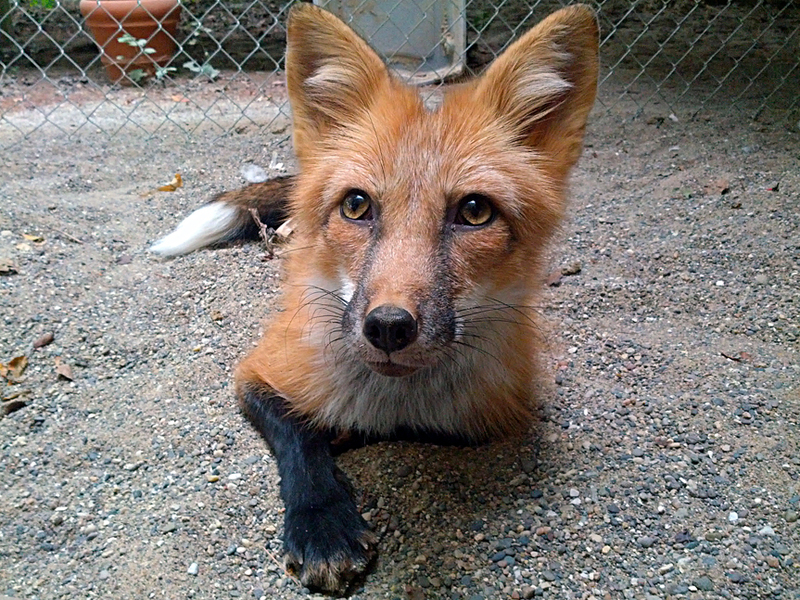 “So You Want to Own a Fox: The Instinct” is the first video in a series with Loki the Red Fox. The video makes it clear that a fox is normally a wild animal, not bred for domestication (although in Russia it is). Foxes normally don't make satisfactory pets. Before I sold the house, there were some red foxes that would come into the yard, eat mice and snakes, and take naps. One or two of them obviously recognized me, probably because there is a fox den on a hill behind a church I have attended. 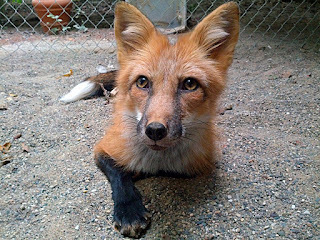 Foxes in some ways behave more like cats than dogs, having developed behaviors through convergent evolution. At one point Loki takes the car keys to mark them with his scent. I had a stray cat in Dallas try to take my car keys once. The cat would return after several days of hunting. He knew how to open doors. The foxes in my yard stayed very healthy living on what they can catch in the wild. A fox fed human food would probably develop Type II diabetes. YouTube has videos involving servals and other larger cats. Particularly in Africa, some larger cats stay in human homes and will bond with humans and remember where they are welcomed and get food. But servals, according to the literature, require enormous space and natural space to be kept. Many wild mammals, especially carnivores, will bond with humans when they have favorable experiences. You have to be pretty smart to hunt for a living. The Wikipedia picture shows a Russian domesticated red fox. Loki has passed away, filmmaker link here. Before I sold the house and moved, a red fox whom I named Reid got so he would watch me open the garage and make eye contact. He was still a wild animal but he definitely understood something about humans and who he liked. He lived in the woods above a nearby church I had attended. He probably hunts over a square mile radius.